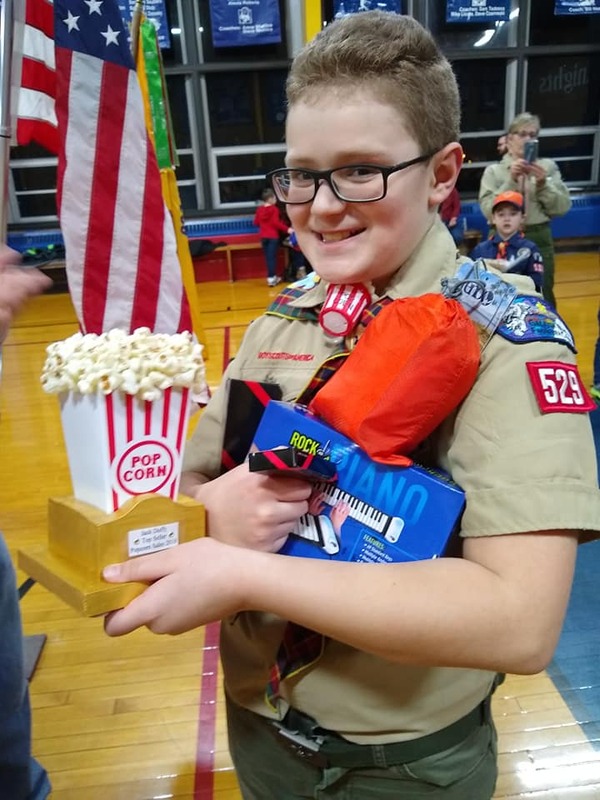 The Scouts with the highest popcorn sales were awarded prizes for their hard work! Great job boys! The family campout is tomorrow! If you have not yet texted or e-mailed Beth your license plate information please do that ASAP. It is Letchworth Policy that we have the license plates of everyone camping out. We will have a schedule of events and rules upon your arrival. We will be watching Saturday’s weather reports and may need to change the activity schedule around. As a reminder- there is no alcohol or illegal drugs allowed at any Scout event. We ask that any adults who smoke to do so out of range (visual & scent) of any boys. We will be sharing the space with another Scout group so any smoking area will need to be out of range of them as well. This month started out with wonderful news from Punxsutawney Phil, announcing an early spring. But this month has been very cold and snowy. We hope you have been enjoying your early winter break and getting out into the snow. As a pack, we celebrated Scout Sunday on February 7th, which marked the 106th Anniversary of Scouting. Mass was followed by the Pinewood Derby. This event was a lot of fun and well attended. Webelos 2 scout Tomias Ramsey took the trophy for overall fastest car. Way to go Tomias! Thank you to all of the parents and leaders who helped make this event a success! We couldn’t do it without. This months pack meeting was lead by Linda Harle-Mould. She took us into the lives of the Native Americans. We learned a dance and much of their culture. Thank you Linda for such a great evening! Wednesday, February 17th was one of two pack outings this months. Nearly half of the boys came out to the Tonawanda Aquatic Center for a couple hours of swimming. The boys swam with flippers and noodles while others played pool basketball. Saturday, February 20th we met up at the sledding hill inside Beaver Island State Park. We were not able to sled but we still had a great time on our breezy nature walk. The boys also enjoyed the hot cocoa. Sunday, March 6th is our next parent meeting. It will be at Panera Bread on Sheridan Drive starting at 6:30pm. All parents are welcome and encouraged to attend. This is a good opportunity to talk about upcoming events. Next months on Sunday, March 13th is the annual Blue & Gold dinner. 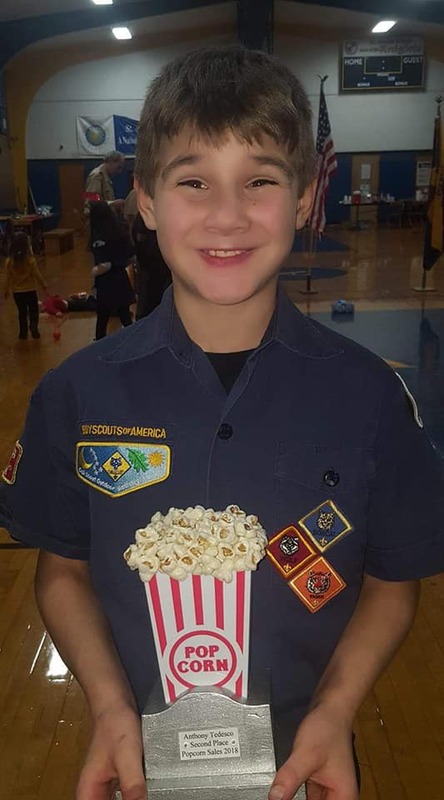 This is a night the entire pack and their families are invited to come, have dinner, enjoy some entertainment and witness our Webelos 2 den bridge over to Boy Scouts. Arrow of Light Awards will be given out as well. A representative from council will be there to talk about Friends of Scouting- a group that helps to support scouting in WNY. Kelly Mayback is the chair for this event. She is looking for helping hands with set up, volunteers for bringing side dishes, serving food and clean up. Kelly will have sign up sheets for this event at each meeting. You email kback120@yahoo.com if you have questions or can help. Lastly, Pack 529 is need of more Parents Volunteers to fill various committee positions which assist with running the pack. 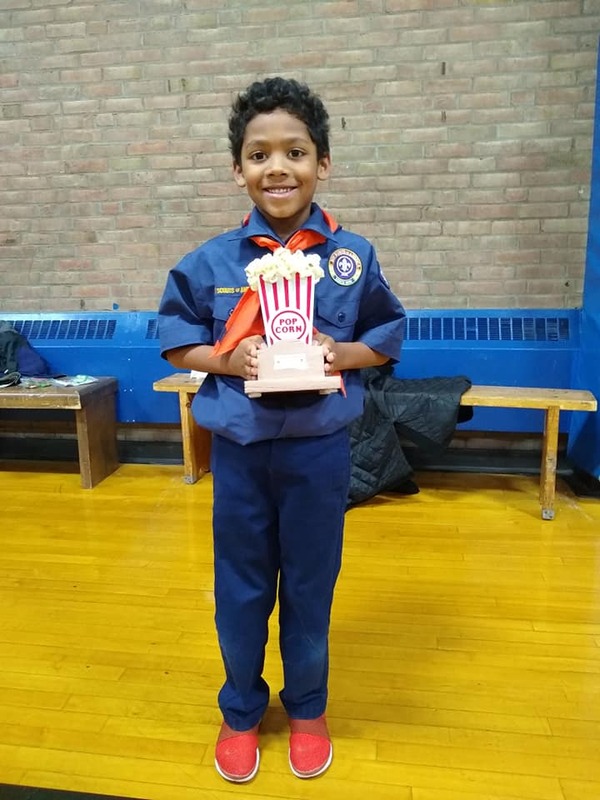 Cub Scouting is a family event. It is run by volunteers, and we need every family to participate in order to make it successful. If you can please help lighten the load, please see Cubmaster Ashley for details. More hands make lighter work and helps our pack flourish. The February Leaders & Parents meeting will be held on Sunday the 12th at 6:30pm at Mr. Coupal’s house: 66 LaSalle. Please bring any receipts you need reimbursement from the Winter Campout, Scout Sunday, the Pinewood Derby or any other event.